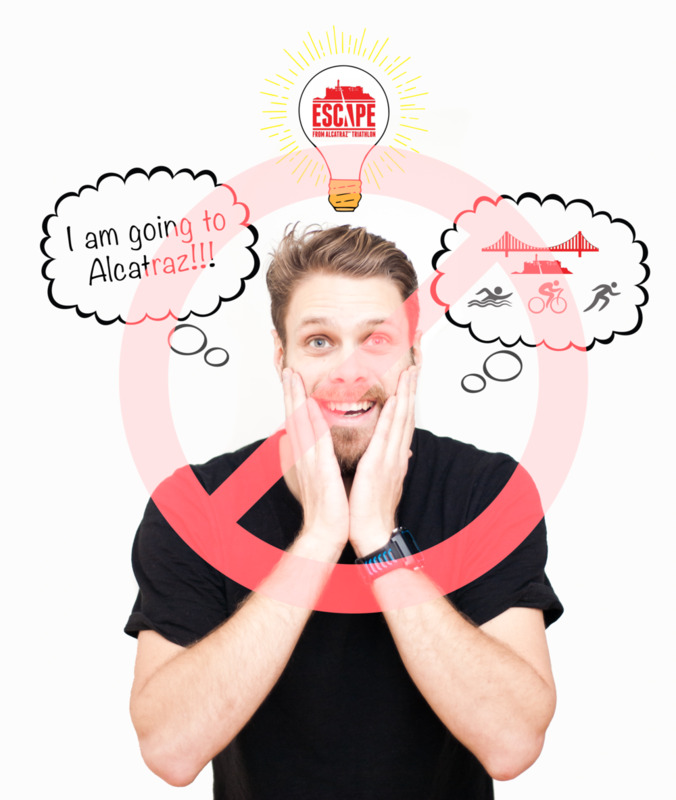 It was close to two years ago that I just for fun registered for the Escape from Alcatraz. I didn’t think that I would get through the random draw but did, and it became my focal point for the season. Fast forward to last summer, Amalie and I decided to travel to San Francisco to combine a vacation and my race. I was very much looking forward to the entire spectacle and was is an okay shape. Himmelbjerget is a 147 meter tall hill not far from Silkeborg in Jylland. 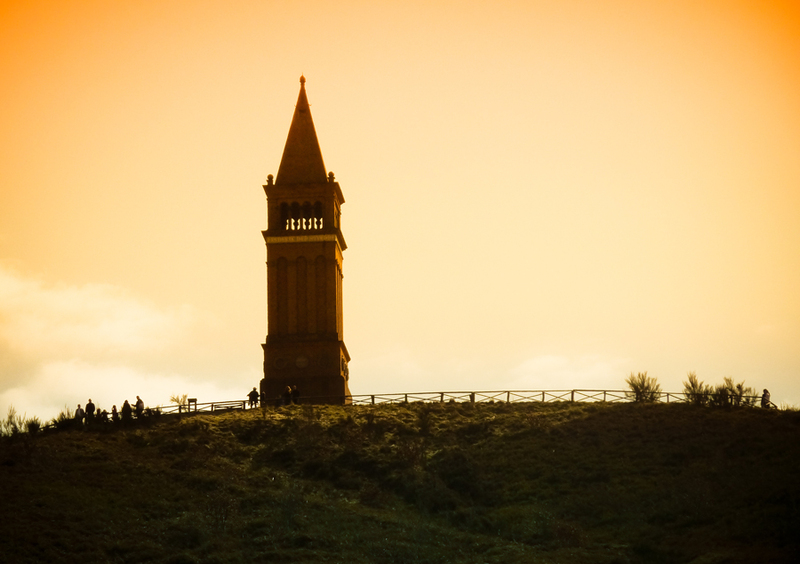 The hill has a 25 meter tall brick tower on top, built in memory of King Frederik the 7th, the founder of the Danish constitution. One of the things I have been the least satisfied with this season is the amount of races I have done. I am very happy with the races I selected, but especially during the last few months felt I need to be better at scheduling my racer so that I can get the time for them. This weekend I finally got one into a rather busy weekend schedule, and it's a doozie! Himmebjergløbet is a cross race that's 15100 meters long and sports a lot of elevation change compared to what Danish people are used to. Cross is a type of running activity where you run on multiple surfaces, forest paths of various quality, asphalt, mud and grass. I have never really tried out a race like this before and it makes me very excited! Sunday is the day, and the time is 11.15 AM CET. I hope to be able to run this race below 1:10:00, but have no idea how compressed the 125 meter elevation change will be. Norwegian races tend to have 10-25% incline, so I'm sure I'll handle this one hill if I don't start out too hard early in the race. For this race I'm trying out the New Balance Vazee Summit properly and can't wait to see if it will work well! My next race this year is a half marathon in Norway that I'll be running together with my family and friends. It's not going to be one of those easy runs where we have fun together though, this will be a very hard race where we are left alone to fend for ourselves. The running route is from Horten to Tønsberg, in various types of terrain. What is especially hard in this race is not elevation, but the different types of terrain we will be running across. Gravel trails, forest trails, beaches, hills, asphalt and pebbles makes this the hardest flat half marathon I have ever run. Last time I did it was in 2013, and my time was 1:48:08. I should be able to crush that time by a lot this year, but that is not my main goal! I wish to compete with one of my childhood friends. Last time we ran this race, he finished 14 minutes ahead of me, I imagine this time it'll be a lot closer. We'll see what happens in ten days. Until then, I'll be focusing on getting an energy surplus and some speed in my legs. I've been working very hard in order to get in shape for this race, and I must say that I am very satisfied with my result. Overall i was placed 135 out of the 8812 (98 percentile) that finished. In my class I got 28th out of 585 (95 percentile), male 30-34. Countdown for the next race! My next race is already on the calendar and I'm starting to work towards it now. Lillebælt half marathon will take place on May 6th. It's taking place on almost the exact same location, but has the more spectacular route across the bridge in the background. It's been a while since I've gone all out in a race, and my muscles are feeling the ramifications of it all today. As an athlete I'm used to always having some kind of pain at all times. If it isn't an injury then it sure is some kind of soreness from working out too hard. Waking up with pains is just a normal day. Yesterday I participated in my first real race of the season. It was a 10k race, that was situated under the Lillebælt bridge, a flat and very fast race with about 2000 contestants in all. Tomorrow is race day, and I can easily say that the weeks before this has not been optimal to maximize my performance on my first 10k race in 5-6 years. My plan is still to completely shatter my previous record of 42:18 by starting strong and finishing even stronger. Just yesterday I checked my schedule and realized that my first race of this season is just two weeks away. This race is held by the same people who is arranging the Lillebælt Half Marathon later in May. Both races were bundled together when I got them in one glorious birthday present last year. Last year my brother Karl Otto joined Trollveggen Triathlon. I was just a spectator back then, but I saw how much fun he had and I really wanted to experience it for myself. This year two of my brothers and my sister-in-law competed with me in this event. The triathlon starts down in the fjord and finishes at 1500 meters altitude on Trollveggen, northern Europe's highest vertical wall. The swimming was changed a little bit from last years competition. This time it was better for the spectators, as the entire swim leg would be done right outside the harbor. The water in Norway at this time is usually very cold, and I was very happy that they didn't reduce the swimming distance like they did last year. As we were entering the water, the rain started pooring. For the athletes this wasn't a problem, but for the spectators it became a very wet experience. My expereience of the swim was mostly chaotic, as I had put my new big open water googles on over my swim cap, which resulted in severe water leakage and salt water in my eyes. I had to stop every 100-150 meters to empty the googles, but I still finished with a respectable time of 25 minutes, exiting the water as number 32 out of 200. T1 went well, but because of all the water drops from the rain I didn't see anything through my glasses at first, and it resulted in me having some trouble getting on the bike. But once I was on I was flying, at least as long as it was flat. After only a few minutes on the bike I caught up with my oldest brother Thomas. He had exited the water 30 seconds before me, but struggled with the transition. Karl Otto, the third brother, were further behind. But his strengths are in the climbs, which ment that I needed to keep a solid pace throughout the race to keep him behind me. The flat part went by really fast, and I managed to gain a couple of positions, but as the climb started I saw how much worse I was at climbing than the other contestants. When I entered the Trollstigen platou I had lost 15 positions and were now number 45. A fast T2 and I was number 44. Even though this leg starts off with some running, it's hard to actually call it a running leg. Some parts of the terrain is so steep and so challanging to walk that only the best of the best actually run. After a short flat section, the first really steep hill comes. Many of the people around me tried to run all the way up, but soon regretted their choice. I started gaining on some people, and as the hill ended i managed to run past several of them. But the terrain only flattened out for a short while before it became steep again. This hill wasn't made from dirt, but purely from rocks, and it was steep. During section time my legs started cramping, and I sensed that if I gave to much each push I would have to stop, so I needed to keep my cool. The hill ended, and it got flat. But there were still only rocks as far as I could see, so running was very difficult. running was only possible on the patches of snow still lying in the mountains. Now the worst part was over, and I had only a tiny hill to run down before entering the last little uphill towards Trollveggen. Unfortunately though I managed to get a serious cramp on the way down, and was skipping on my right foot in the snow. Luckily, the cramp ended as I finished the downhill and I could walk the last part towards the finish line without any pain. I ended up at 39th with the time 3.03.09. But most importantly, I beat both my two brothers to the top. This race has probably been my best experience ever. I went tthrough struggles on all the different legs of the triathlon, but was always happy and smiling. I enjoyed every minute of it. Even though the running in itself is rubbish, the entire package that this race contains is just top notch. I never remembered to film during this race, but another contestant made a video about his experience.